Databases have long been an integral part of everyday life, but their presence has become even more ubiquitous with the rise of the electronic database. While databases can be as simple as a phone book, today’s electronic databases are much more complex. All databases are simply an organized collection of facts or information, such as text, numbers, images, audio and video clips. They provide an efficient and organized mechanism for storing, managing and retrieving that information. Liquid Web offers quite a few Managed Database Hosting Solutions on our high performance servers to aid you in storing your most important data. Databases allow businesses to not only collect and store relevant data, but also to organize it in a way that allows for in-depth analysis. For example, businesses can keep a catalog of items for sale, and organize them by type, price, seasonal demand, etc. As businesses collect more and more data from their customers, and are collecting new types of data, the corresponding need to store and analyze that data has also grown.This era of data growth has been dubbed “Big Data.” Big Data has brought about recent advancements in technology that have vastly increased database capacity and processing power, which means even more informational tools and options for businesses. Once you’ve established that you need a database for your business, how do you choose between the different options? There are quite a few databases available, which are specifically designed applications that interact with the user and other applications to capture and analyze data. Liquid Web offers many of these types of databases depending on your specific needs, including MySQL, Microsoft SQL, Percona Server, Cassandra, and Hadoop. See below for brief descriptions of each of these options, but the Liquid Web team is always available to help you find out which of our Managed Database Hosting Solutions is right for your business. The most popular open source database, MySQL is relatively easy to launch and utilize for a number of projects. This provides a wide range of users with a powerful and versatile tool that can be leveraged to handle projects big and small. 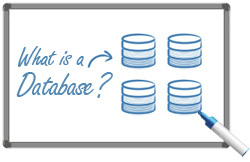 Read our Knowledge Base article if you’d like to learn more about setting up a MySQL database. This is a very useful and manageable database for those utilizing a Windows server. Similar to MySQL, it can handle projects of any size. Percona serves the same basic needs that MySQL does, but provides enhanced performance and analysis tools. If you need a database that allows for the collection and analysis of massive amounts of data, Hadoop may be the perfect solution for you. Built on open source software, Hadoop utilizes cloud computing principles to break down, analyze and reassign big data into resources you can use to your advantage. Many databases can handle any size project, depending on how they’re configured, however, Cassandra was built specifically for large, mission-critical operations that require real-time analytics. While you certainly don’t need to launch a project as expansive as Twitter or Netflix to benefit from Cassandra’s speed and scalability, it’s reassuring to know that it has been utilized to deliver peak performance along with the infrastructure of both. With all of the managed database solutions that we offer, selecting the one that is perfect for your business can be difficult. Liquid Web cannot only help you make that decision, but can also design and install, and configure a custom solution for your needs. Our Heroic Support® team is also available to monitor, maintain and keep your database server running at peak performance. From small, one-server databases to clustered and replicated high-availability databases, rest assured that Liquid Web can help your business attain its data storage goals. If you’d like to learn more about our Managed Database Hosting Solutions, Live Chat or call our Sales team at 1-800-580-4985 today!